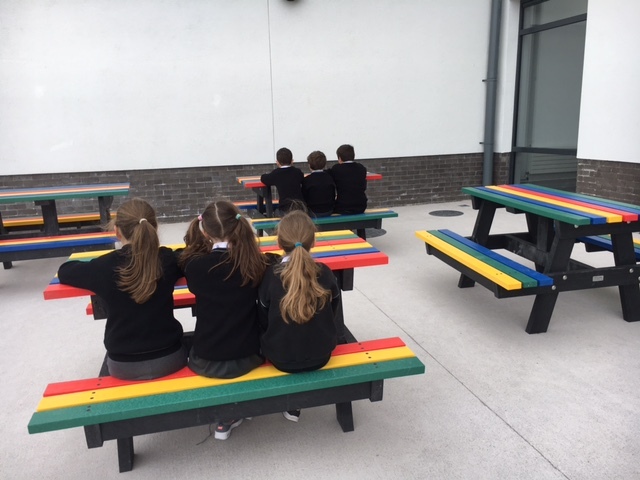 Many students returned to school in late August 2017 to discover they had new picnic benches and tables. 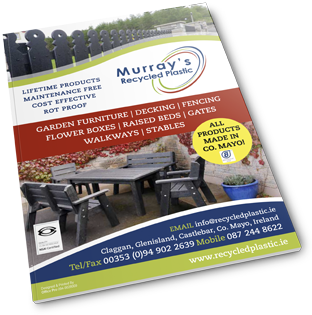 We have supplied hundreds of benches to schools and colleges throughout Ireland. 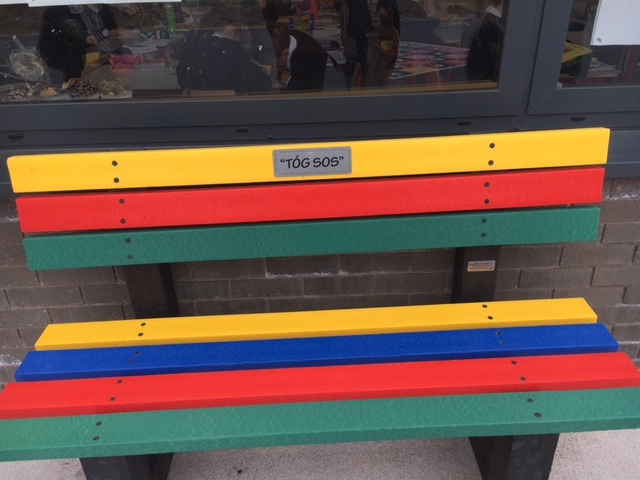 One of the favourite options for the national schools are benches incorporating primary colours. The Buddy bench is a recent innovation. In a day where we are becoming more aware of the benefits of talking, the Buddy bench is a special area where children can meet up and do just that ….. and perhaps let their imaginations take over and start a story. By using the colourful Buddy Bench along side standard benches, it makes the bench even more of a magical/special place to be. As with all our products, they are a custom made and maintenance free. Being custom made means we can tailor them to different ages, from playschool children to Leaving cert young adults and college students. They can be easily secured to concrete. 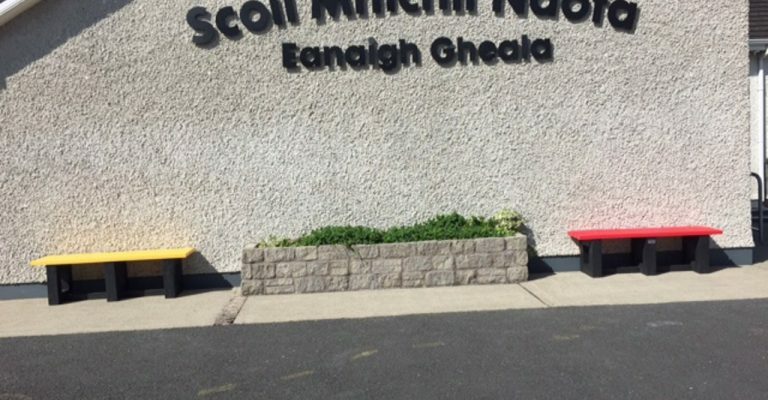 Please see the testimonial from Gaelscoil Mhainistir Na Corann.